Hello fellow equestrians! 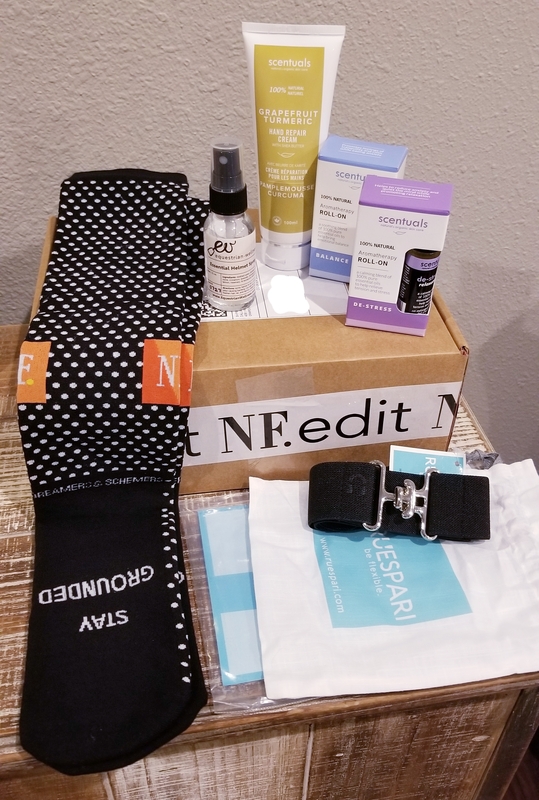 At this point, I am sure many of you have heard of the Noelle Floyd subscription box designed to pamper equestrians. If you haven’t- hop on over to NF.edit now to read up on their latest offering. If you are as curious as I am, you are dying to see what is inside. You have come to the right place! 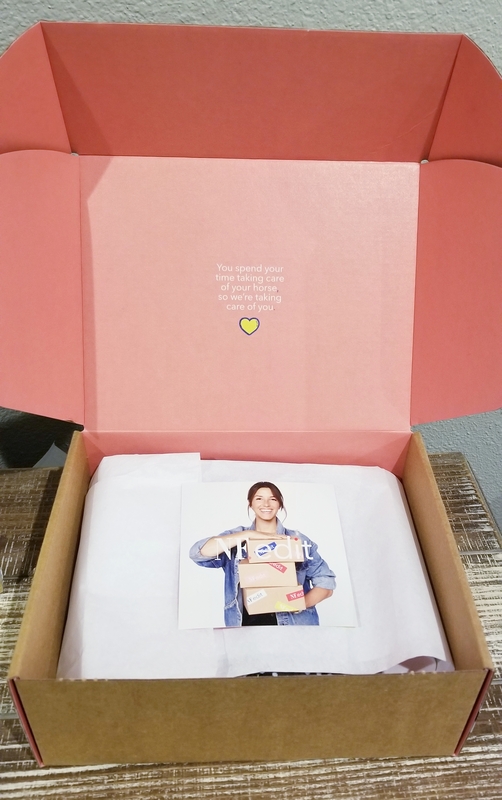 This box is a quarterly subscription service (ie you sign up and get it 4 times a year), and it costs $60 a box. NF has been very hush hush about what is going to be in the boxes- not a single product picture is shown on the website. Although many people have tried to ask, NF has essentially responded that surprises are the spice of life (my words not theirs, but you get the gist). Well, I signed up for the heck of it around late July, and my first box ( as well as the first one offered by the service) arrived yesterday. The wait was finally over and I couldn’t wait to dive in. If you follow me on IG (@hunky_hanoverian) you probably saw my story last night which featured the box it’s arrival and it’s initial unwrapping, but here is the up close and personal look with what is actually inside. EDIT: So sorry I forgot this part! The box also included a promo code for $50 off the NF shop! MY BAD! 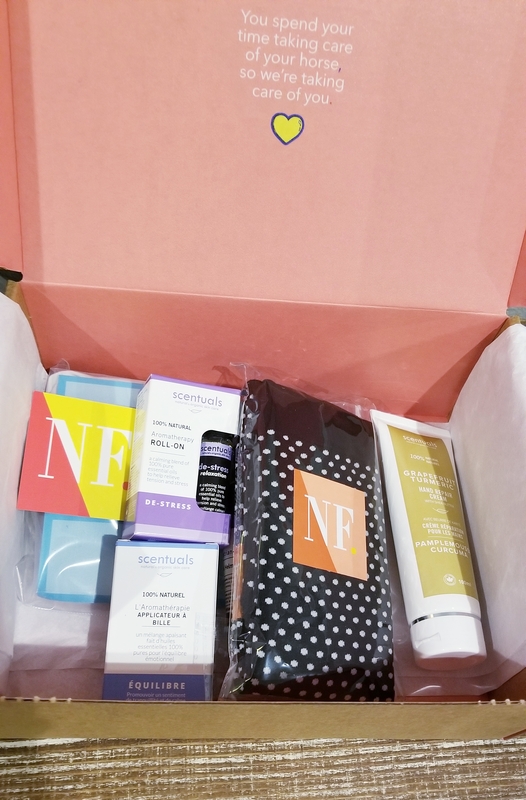 The NF.edit website for the box proclaimed that each box would include “$100+ worth of beauty, health, and definitely fashion and accessories sprinkled in”. So how did it stack up? Let’s dig into the contents. The socks are great. Who doesn’t like Dreamers & Schemers socks? So soft, yet they have a bit of substance. I will definitely wear them. The belt… I am a bit meh on. I know that the surcingle belts are the trend these days, but this one is a bit narrower then I’d prefer, especially when stretched. Speaking of, I wear a 28 breech and it’s a bit of a stretch for the belt. Not awful (I did try it on) but not a perfect super flattering fit. I don’t know that I will be reaching for this belt often. I am also a bit disappointed that it is solid black. Who doesn’t already have a handful of boring black belts in their closet? At a least a fun pattern would have given it some pop. Oh well. The EW helmet spray is cute and will probably get thrown in my trunk. Smells nice, and is also supposed to disinfect according to the packaging. Bottle also says you can use it in your hair??? Unclear, but I doubt I’ll be testing that one. I have a Samshield with multiple liners that I wash frequently, so I don’t have need for a helmet refresher/disinfecting spray, but it’s not an awful thing to have in your trunk. Essential oils/Aromatherapy may be your thing, but it’s not really mine. 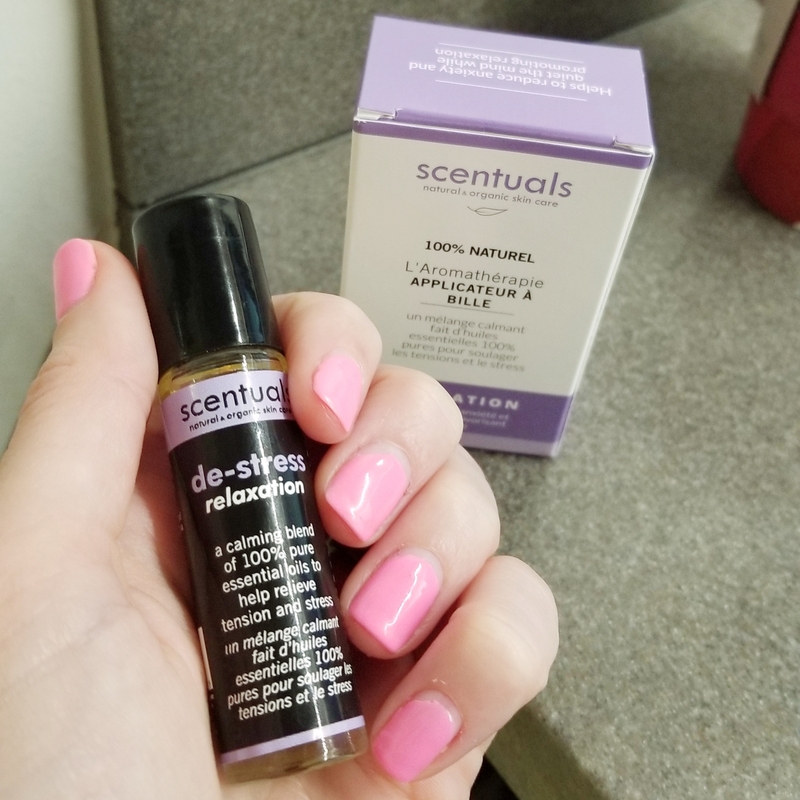 Like, they smell nice, and the roll-on aspect is nice I suppose, but I’m just not super into stuff like that. I brought the “de-stress” one to work and put it on some of my co-workers (hospitals can be very stressful!). So far, it’s a busy morning and my anxiety and blood pressure are both through the roof. the oil does not seem to be helping. My gripe though- why send 2? I feel like 1 is sufficient, that way if you love aromatherapy, then great! If you don’t, like me, then it’s only 1 product you won’t really use, versus 2. But what do I know? 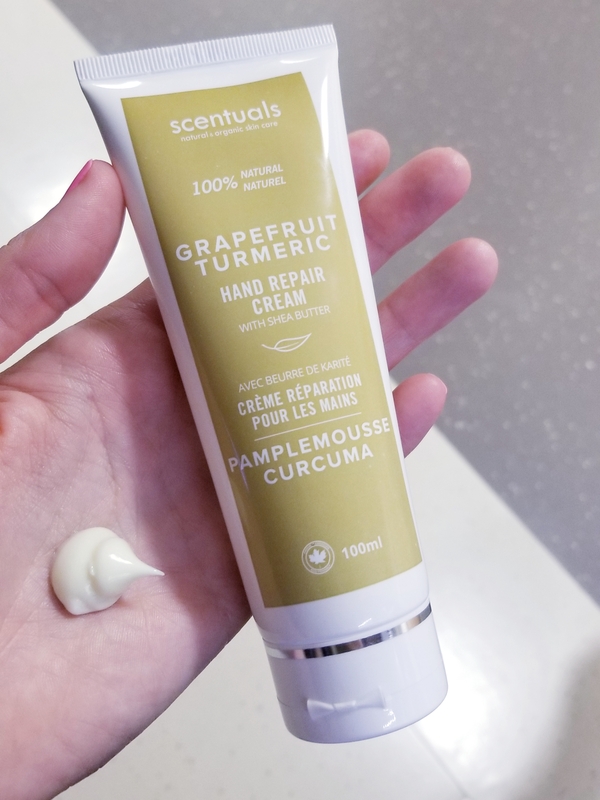 Last but not least, the Scentuals Grapefruit Tumeric lotion. This is also got tossed in my bag and brought to work to test out. I love citrus smell that isn’t too sweet, and this lotion fits the bill in the regard. It’s soft and creamy, but I’ve been rubbing it in for 10 minutes and it’s on the oily side. I am not loving typing on my keyboard currently, as my fingers have an oily residue. This will probably get tossed in a draw in my bathroom and forgotten about, if I am being completely honest. Edited to add: I have grease marks all over my keyboard/work area. I officially hate the lotion even if smells good. I checked out the NF Shop to see where I could use my $50 off code. Pretty sure I am going to get an Asmar long sleeve shirt ($68) because I already have a few and I love them. The code will bring the cost down to $18 plus whatever shipping is, so totally worth it for another shirt! Definitely helps improve the value of the box in my eyes because I really do love these shirts and LOVE a great promo code. I’m a bit disappointed. I expected more equestrian themed items honestly. I get that this is a “pamper yourself” box, so maybe my expectations weren’t exactly fair. I already get a monthly beauty box (Boxy Charm) where I get 5 full sized beauty items for $21/mo, so I have no shortage of beauty products. Maybe I’d have liked this box more if I didn’t already get one beauty box. 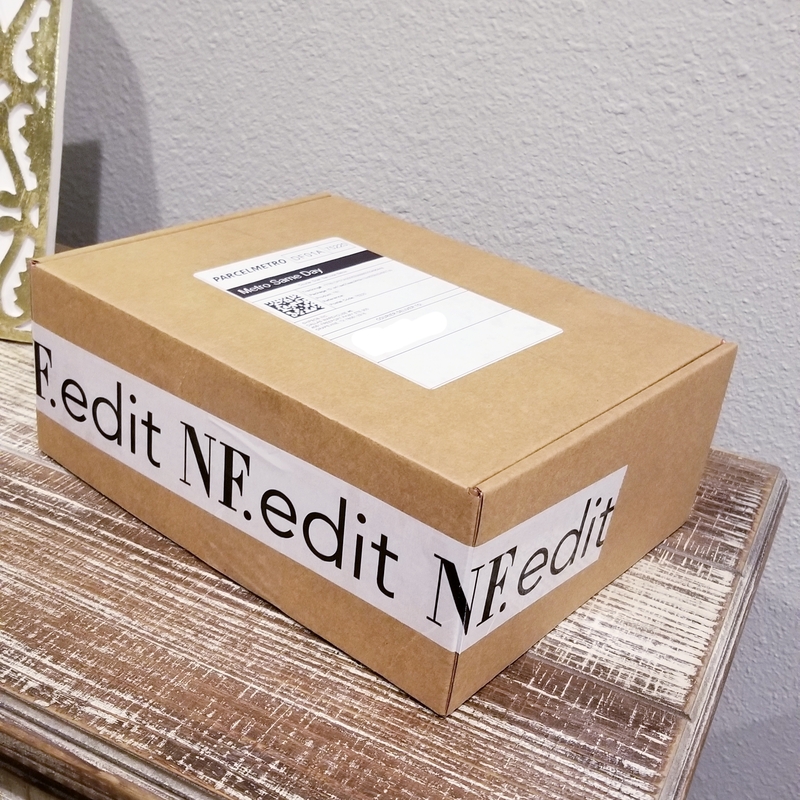 The only thing out of the NF.edit box I see myself using frequently are the socks, so this one probably not worth $60 to me (again, could be different for you). Will I continue my subscription and see what comes in the December box? I actually will. Although I don’t think this one was necessarily a home run, December’s box is supposed to include some top rider favorites, which I would find very interesting! I am also just super curious, and I want to see what they do with the next one. I feel like NF will get plenty of feed back from this one, and put together something even better not time. Fingers crossed! What about you guys? What do you think? Would you subscribe? Oh gosh… If you, at a 28 size breech, feel the belt is a bit of a stretch, I probably wouldn’t be able to get it even close to closed! I like the socks… but a $60 to get an $18 pair of socks probably isn’t going to fly for me hahaha. I just think of like FabFitFun, which is $10 cheaper a quarter, AND you get a box worth at least $225. It would be worth it if it was more horsey, but right now, I will probably pass. Tack shop scented candles anyone? Emily, have you done the FabFitFun box? I get sooo many social ads for it but I’m not really into subscription boxes. I’m kind of curious though. I do like that the belt is black bc I feel like more people won’t hate it, but I agree with Emily in that if it is smallish for you, then many more ppl will likely be disappointed with it’s fit. I also think the elastic belt trend is kind of silly. I mean, I could make that thing myself in less than an hour and spend fewer than $8 on supplies…. The rest of the NF box I find to be underwhelming so am glad I didn’t subscribe. I get the Giddy-up Goodies box and have liked about 75% of what I’ve gotten in the 4 boxes (they do monthly) I’ve received so far. In fact, they sent horse treats in the last box that ALL FOUR of my horses went nuts for! I’ve never been able to get into the subscription box thing in any regard. I’m really picky about stuff, and want to know for sure that I’m getting my moneys worth. The idea of a surprise does not appeal to me! I would have probably felt the same way about this box as you do… there’s nothing in it that I would be excited about. I do like surcingle belts but I have 3 already, which I made for myself, to my custom size, for about $10 and a half hour’s worth of work LOL. And I’ve already got 4 pairs of D&S socks – those I do like – 2 of which I got on sale at RW for $11 and I got to pick the patterns. Not adding up to $60 worth of value. Maybe the next box will be better! It doesn’t sound like it’s for me, so thanks for testing it out and sharing! I LOVE sub boxes, but this one would probably be a miss for me. Mostly because I can’t behind the Ruspari belts. They’re insanely overpriced for what they are. I’m kind of meh on the surcingle belts as it is, but I do have a couple that I’ve gotten from independent crafters for like 1/3 the price. Hopefully the next box will be better curated. If I could build my own dream horsey sub box, I think it would still include some dreamers and schemers, but I would want to see something for my horse, like maybe polo wraps or a baby pad, a jewelry item, and that helmet spray isn’t a bad idea, actually! Has anyone tried to use their coupon code in the shop yet? You have to spend at least $150 for it to apply!! that seems outrageous to me as an adult ammy on a budget! I just tried and now I am PISSED. You are right. This is NOT right. Hi Mary, thanks for bringing that to my attention. I was outraged, and contacted NF. I have been assured that that message is a glitch, as the NF shop is not fully launched yet, and they are working to fix it. I have also been assured that there will be no required spend to use the promo. I will be trying later today to redeem it, and I’ll let you know what happens!